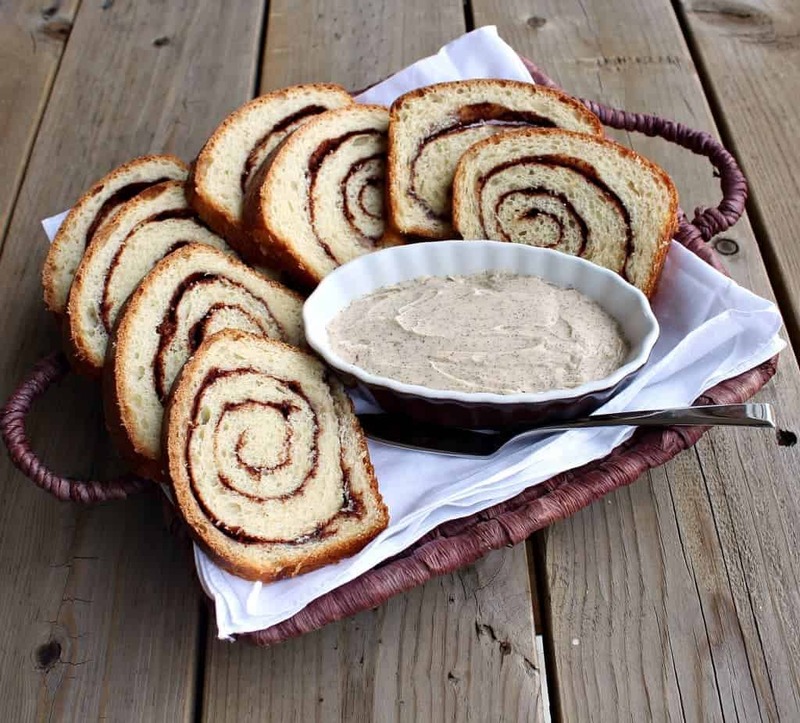 Cinnamon Swirl Bread with Vanilla Bean Whipped Butter – the cinnamon and vanilla bean pair perfectly in this elegant bread and butter combo that will have you swooning. My love of vanilla beans isn’t quickly fading. I don’t see that happening anytime soon ever. In fact, I’m quite sure I’m addicted. Sign me up for rehab but I won’t show up! 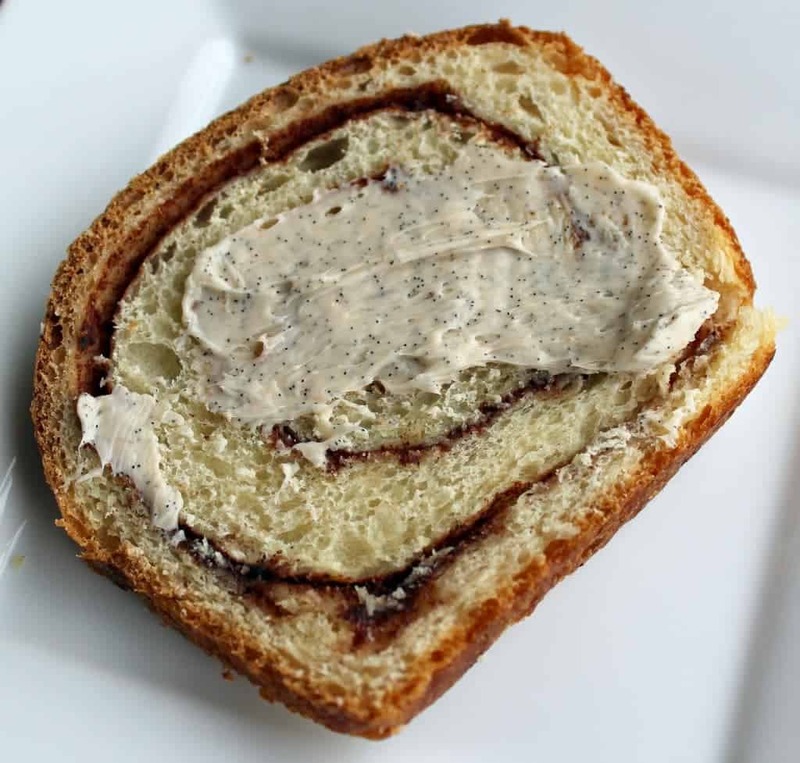 I’ll be in my kitchen concocting something that will surely have beautiful little black flecks in it and it might just be this cinnamon swirl bread. There’s a company that sells vanilla beans–they’re called Beanilla. Heard of ’em? I’m quite smitten. They are located (more or less) in my hometown. They ship vanilla beans to your door. At a good price! They recently sent me these Tahitian vanilla beans. These aren’t your average Joe vanilla bean. Plump little suckers, aren’t they? They contain 2-3x the pulp of any other vanilla bean. Beanilla describes them as having a floral aroma with tones of ripe fruit and flavor rich with chocolate, licorice and caramel. I wanted their flavor to shine through so I used them in two different ways: bread and butter. Sounds boring, but it isn’t. Melt 6 tablespoons of butter with the milk. Heat until hot but not boiling. Remove from heat and cool until still slightly warm. Sprinkle yeast over the top, stir once and set aside for ten minutes. In the bowl of an electric mixer, combine 1/3 cup sugar and eggs using a paddle attachment. (I don’t have a stand mixer so I used a spoon and then kneaded by hand. I’d suggest the stand mixer if you have one.) Pour in milk mixture and combine. Add half of the flour and continue to beat on medium speed until moistened. Add the rest of the flour and beat until combined. Remove paddle attachment and switch to dough hook. (Or if you’re an unfortunate sucker like me, dump it onto the counter and knead until you lose your mind. Or ten-ish minutes.) Knead dough on medium speed for ten minutes, adding 1/4 cup of flour if necessary, kneading for five more minutes. Heat an empty glass bowl in the microwave for about 15-30 seconds just so it is warm. 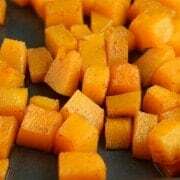 Pour in a little bit of canola or vegetable oil and toss the tough in the oil so it has a thin coating. Cover the bowl with plastic wrap and place in a warm place for two hours or more. Meanwhile, in a small bowl combine cinnamon, 1/3 cup of sugar and pulp of the vanilla bean (you may need to use a fork or small whisk to break up vanilla bean pulp. Add in 3 tablespoons of cold butter. Using a fork, work together this mixture together until the butter is in pea-size pieces. On a floured or oiled work surface (I used oil), roll dough into a rectangle the width of your loaf pan and 18-24 inches long. Evenly spread butter/sugar/cinnamon/vanilla mixture over rolled out dough. Starting at the far end, roll up dough, keeping it as tight as possible. Pinch seam to create a seal. Coat the loaf pan in softened butter and place roll, seam side down, in the pan. Cover with plastic wrap and let rise for two more hours. Create an egg wash by mixing an egg with a little bit (1-2 T) of milk and brush over the top of the loaf. Bake for 40 minutes on the middle or lower rack of your oven. Remove from pan and cool. I recommend toasting slices of this bread and covering with a good helping of this cinnamon butter. Whip all ingredients together using an electric beater or a whisk. Store in refrigerator but serve at room temp. Note: Ree’s original recipe calls for melting the butter for the filling and brushing it on the dough before sprinkling on the cinnamon-sugar mixture. I was looking for pockets of ooey-gooey goodness reminiscent of a cinnamon bread my family gets every year at Christmas, so that is why I went with the chunkier butter method. Verdict: Yum, yum, yum. 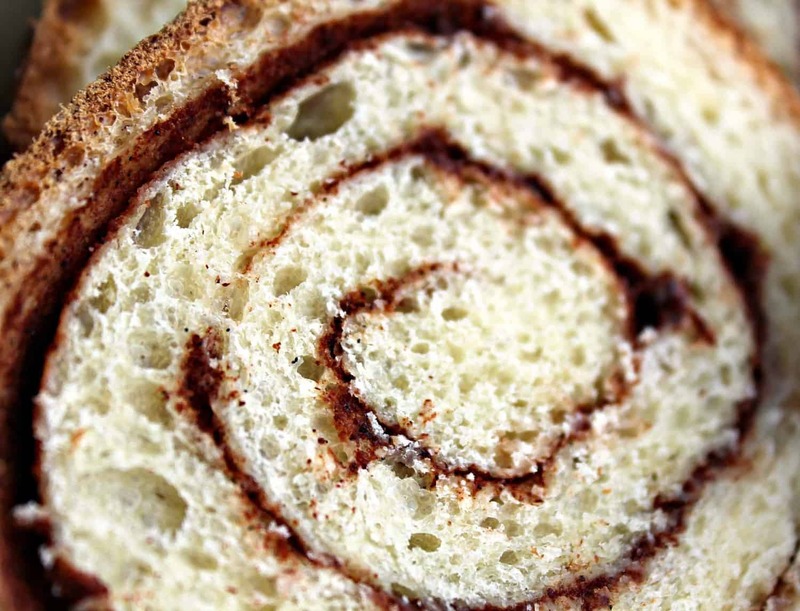 The cinnamon swirl bread bread? Delicious and perfect. The butter? Very, very, very bad if you’re on a diet. You’ll want to spread this stuff on in a thick layer. Difficulty: I’m a bread newbie (in fact, this was my first loaf of bread…ever! ), so I’m going to call this moderate in difficulty–especially if you don’t have a stand mixer. Disclaimer: I received free products and was compensated for this post but all opinions of the vanilla are 100% my own. As always. I’m really crazily in love with vanilla beans and Beanilla is the only place I buy them. Oh my goodness, I think I’ve developed a vanilla bean crush just from looking at that butter! I feel like I would devour the entire bowl. Just me and a spoon. I clicked through from Twitter purely from the look of it mmm. 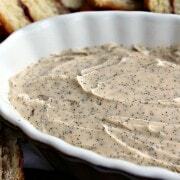 Just wanted to thank you for posting the Tahitian vanilla bean butter recipe. 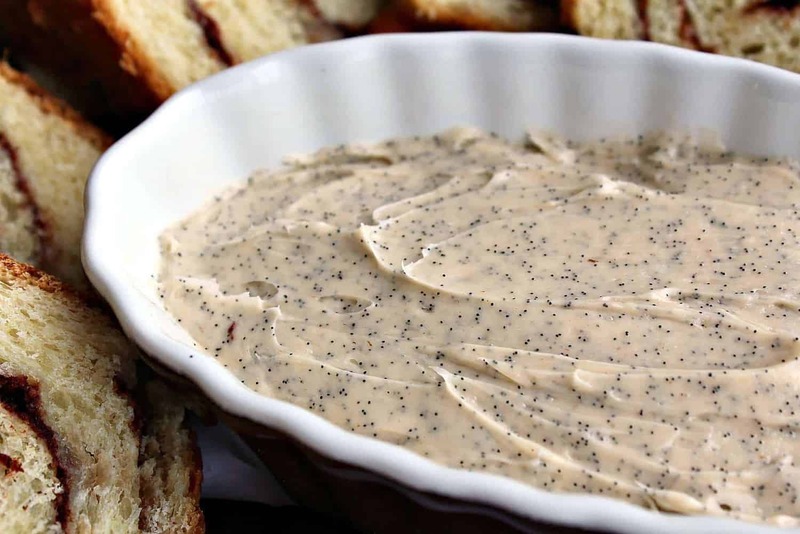 I was wanting to make it for a brunch I’m having tomorrow, and your recipe appeared when I googled “Tahitian vanilla bean butter recipe”- even though I only had regular vanilla beans, I think it’s a pretty close replica to Bouchon’s delicious butter, so Thank You! SO glad you liked it! Hope your brunch is a huge success! Ummm… Vanilla butter?! Wow!! Fantastic idea! I cannot wait to try it! I bet it would be great on waffles too. Holy moly. This looks so amazing! Can’t wait to try it – but I’ll have to make it vegan! LOL – love your hubby’s response of “what’s a KitchenAid?” LOVE mine by the way. Not sure how I did anything without it. :) It was a gift from the husband a couple years ago. He too had no idea – but my sis helped him out. 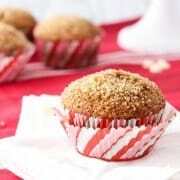 This recipe looks fantastic! Thank you! I’m quite sure I just got lucky. I could eat this for breakfast everyday for the rest of my life. Goodbye diet! This looks so good! I am in love with vanilla beans too and buy them from Beanilla thanks to you! Whoa, baby, this looks insanely delish. Glad you’re back! Ooh I could eat that butter straight from the dish. You’ve managed to combine my two favourite flavours – cinnamon and vanilla. I don’t see anything wrong with your addiction. Yum! Oh my! I love this butter already. So good on that bread!!! And OMG, I was cracking up on the husband’s take. I broke down and got a KitchenAid mixer after Christmas. If you’re a Costco member, they have a 5.5 QT that has the more powerful motor at a much better cost (just go to costco.com and search Kitchen Aid). I scoured KitchenAid support boards before buying it and found a customer support person explaining that it’s a model made exclusively for Costco. But all of the attachments that fit the 6 QT mixer fit this one (except the bowl). Anyways, thought I’d share. Cause I love, Love, LOVE mine. It was worth e-v-e-r-y penny. I want one SO bad! I’m trying to hold out because we might move soon. Don’t hold your breath, mind you. My luck has never been what we’d call stellar. Hee hee. Umm, I love you? I’m totally holding my breath! It’s a big issue with space, and having the haul one more thing…and money too, but more so space. But I’ll still take one if you want to win one for me!!! 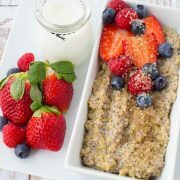 Love the photos, love the recipes and wish you weren’t going to change your blog name =) I like it! Thanks! I just wanted to change it in case RR’s lawyers get bored one day and want to come after me. I’d rather do it on my own terms. Plus, who wants to live under someone else’s shadow? 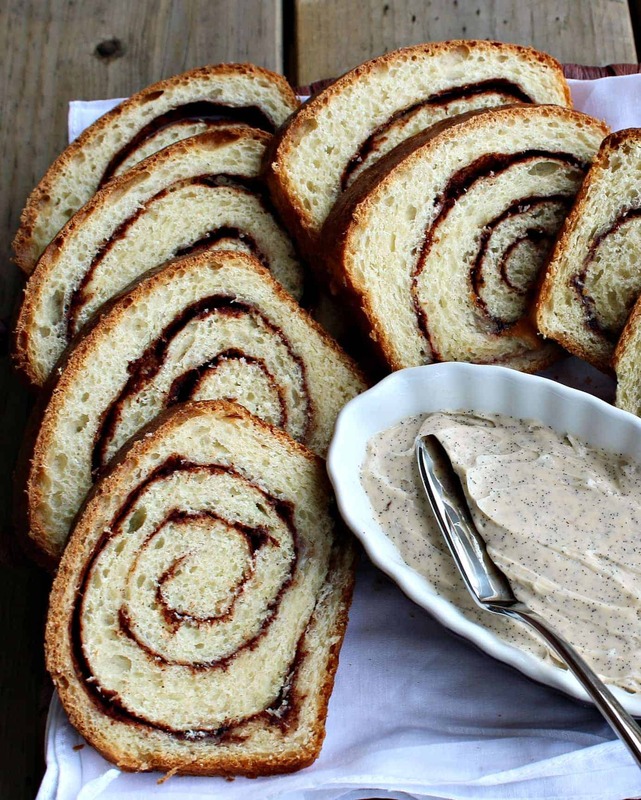 It all looks delicious, the bread, the swirls, the butter. I’m definitely going to buy vanilla beans. Thanks! Vanilla beans are the best. I need this in my life! Stat! SWOON! I want this for dinner, and breakfast, and snack. I’m in love. Me too! I can’t wait to make it again! Gorgeous bread! And that butter…oh I LOVE vanilla so could really go to town with that! That vanilla butter was seriously dangerous. Can you believe I am a vanilla bean virgin :( Looks delish girl! Ahh! You need to change that asap! I’m with you – there’s nothing like a vanilla bean. It’s so much better than using extract. I love making vanilla custard with the beans…amazing!! Vanilla bean whipped butter, genius!!!!! I love the beans too, can’t wait for the giveaway! This has the potential to be my new favorite bread! Love those swirls!